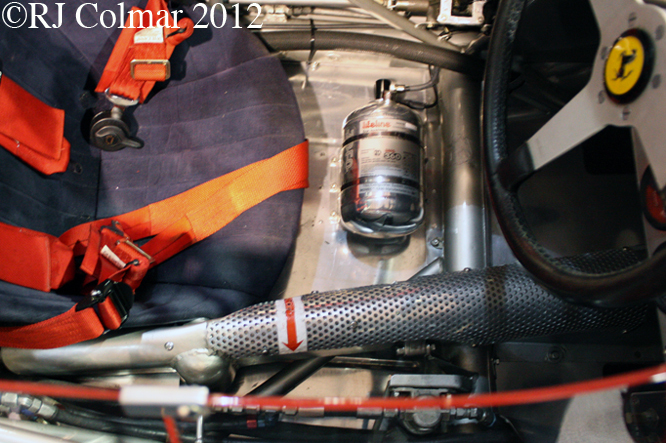 A couple of weeks ago at Race Retro I caught up with the last front engined car to win a Grand Prix again. This car was originally given the chassis number #0007 and driven by Wolfgang von Trips, Oliver Gendebien, and Phil Hill in 1958 recording just one 5th place finish in Portugal with ‘Taffy’ von Trips at the wheel. The following season it driven by Dan Gurney in 4 Grand Prix recording a best finish of 2nd on aggregate at Avus in the 1959 German Grand Prix. In 1960 #0007 was wheeled out for Phil Hill again for five more Grand Prix appearing for the last time at the Italian Grand Prix which Phil Hill won, in a clean sweep of the podium for the Italian marque, ahead of Richie Ginther and the Belgian Willy Marisse who was a lap down. 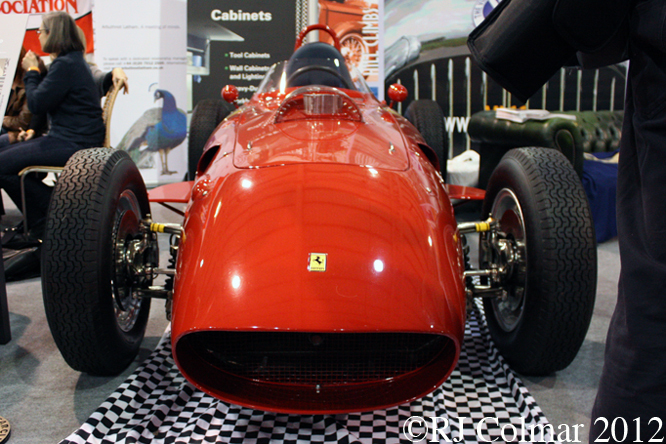 The significance of the win the last ever in a championship Grand Prix recorded by a car with the engine in the front was a matter of complete indifference to Ferrari as evidenced by the fact that before the year was out the trusty 2.5 litre Dino V6 motor had been swapped for V12 250 TR motor by the factory. 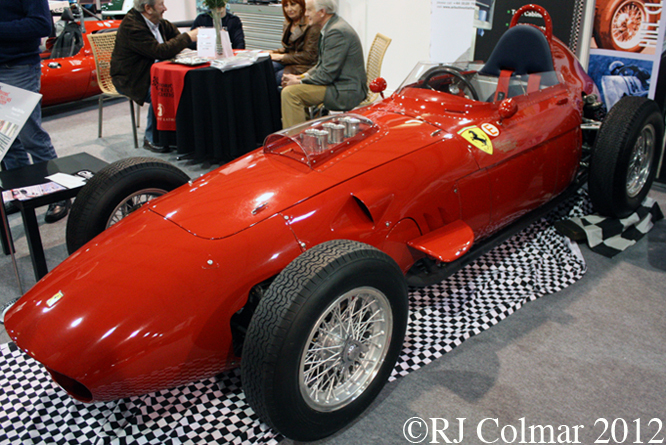 The whole car, renumbered at Maranello as chassis #0788, had been entrusted to New Zealander Pat Hoare who won in 1961 at Waimate and the 1962 New Zealand Gold Star Championship with it. After the car proved no longer competitive and Pat Hoare had retired from racing Pat converted the single seater into a closed two seat GTO coupé replica which can be seen in this link. 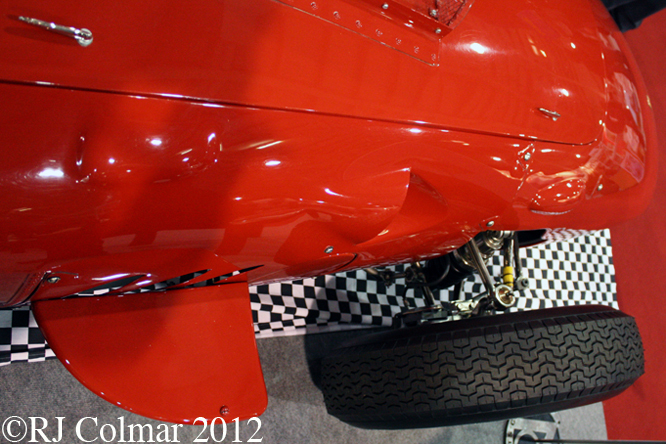 The car was acquired by respected historic racer Neil Corner in 1978 and restored to it’s V12 open wheel chassis spec. Today the car is owned and rock manager Tony Smith, who had a had a replica Dino V6 motor installed, raced #0007 at Goodwood Revival last year when I first saw it. 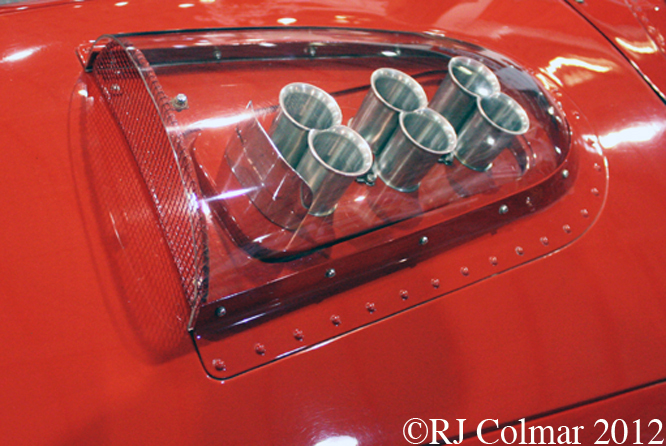 14/05/12 Ammended to read ‘and restored to it’s V12 open wheel chassis spec’ and ‘, who had a replica V6 motor installed, in the light of Charles Hollands comments below. 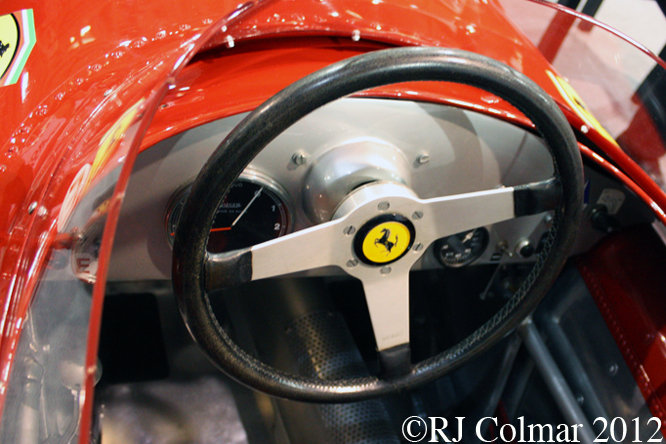 This entry was posted in Uncategorized and tagged 246, 250TR, Colmar, Corner, Dino, Ferrari, GALPOT, Gendebien, Gurney, Hill, Hoare, Race, Ralph, Retro, Smith, von Trips on March 23, 2012 by Ralph.